So they're not ripping off Lego (for once) and they are possibly working with the MOC designer. I'm not au fait with Gundam - is this a direct copy of a mech? No,MOC designer didn't work with Lepin and He not happy about it. Also there was do Pacific Rim 2 Mech Before. What even is that branding? It just looks wrong, in an odd sort of way. There is an interesting line ... "I doubt anyone could replicate what I built." Maybe Lepin didn't, and they built their own that looks very similar but slightly different where they couldn't work out his design. Yeah,No way that Lepin can reverse engineering by watch from his pic only. 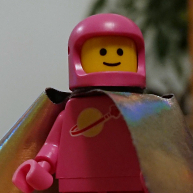 But in that case,That mean Lepin make set by inspire his design? Like many others, the idea of getting some of the sets that I NEVER thought I would be able to afford was an interesting thought. So yes, I gave in and bought a handful of RETIRED sets (5 or so). I then reviewed them and gave my honest opinions. I never liked the idea of being a Lepin supporter, and found the idea of buying Lepin versions of current Lego sets distasteful. So my curiousity/desire for Lepin was very short lived. So I then (once again) moved away from any sort of knockoff sets on my channel. Which I have been Lego ONLY for the last year and half at least. I also pretty much gave up on reviews all together (it seems like the Lego YouTube community as a whole has moved away from reviews). So I have focused more on MOCS, my layouts, and our horror Lego collection. So this "offer" is completely out of left field. To be honest it's not something I really all that interested in. But again, if someone wanted to send YOU free sets (even if they were Lepin or Decool) could you or would you say no? @CaptainPirateMan Are you sure it's not a knock-off from a Lego Technic set? Looking at their Technic offer, they all seem straight copies or at best recolours of existing/retired Lego Technic sets. As Decool doesn't seem to have had a single original idea so far, the assumption should be that the set you have been offered is a knock-off of something. I would say 'no'. And only because I view these type of clone brands to be purely parasitic. If left unchecked, there would be no LEGO. And without the host, the parasite would die as well. Mega Construx, on the other hand, is a competitor with it's own IP and does create it's own (albeit crappy) products. I've actually thought about that, lol. I also feel this way, these brands could end up killing Lego if left unchecked. That's why I have serious reservations about this, because I don't really support these companies. Now if they can step outside of the knockoff market, and actually make their own products, then they "could" become noteworthy. But they have to keep the knockoff aspect out of their products. Enlighten for example, they still have a couple of sets that I would classify as knockoff, but they also seem to be moving towards actual original designs. So even though I wouldn't put them on the Mega Bloks level quite yet, they are at least trending in that direction. Now they are still ripping off minifigures and their clutch quality isn't quite there yet, but at least they are trying I suppose. 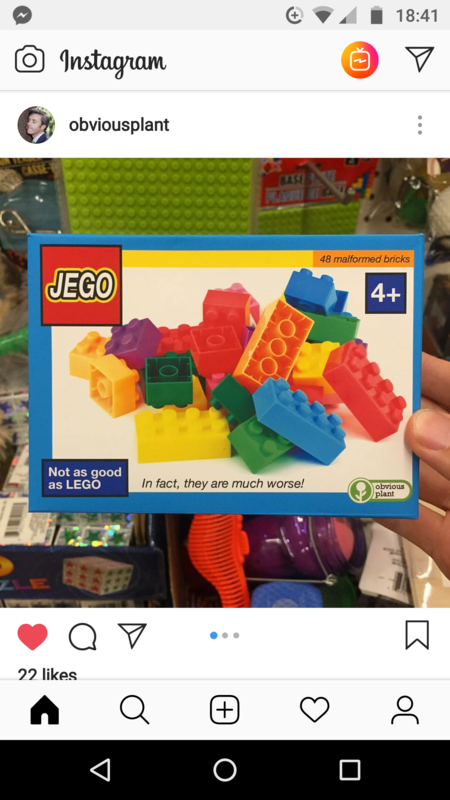 Perhaps Decool is following enlighten and not so much Lepin? IDK? Just a thought. As I said earlier, I am NOT a fan of these types of sets (technic), as such I don't follow them either. 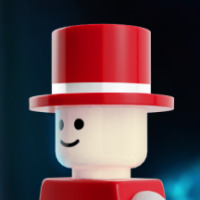 I did a quick Google search and didn't see any Lego equivalent, but I could be mistaking. 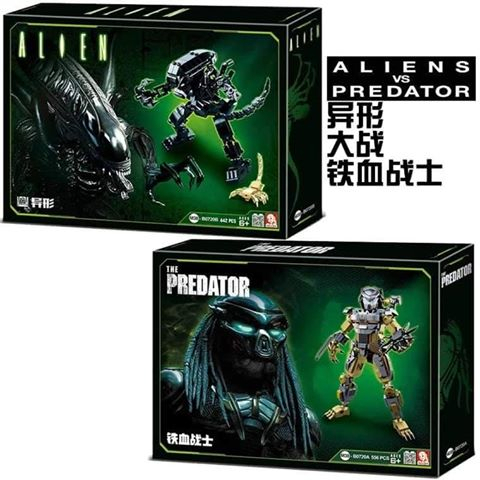 So PLEASE tell me if it is an official set. Thanks, you helped me make up my mind. So everybody, after discovering this information, I am NOT going to accept this offer. I'm not even going to get the set just to destroy it. Even though it would be an entertaining (and probably popular video), I'm not going to lie. ^I'm on the fence about this. 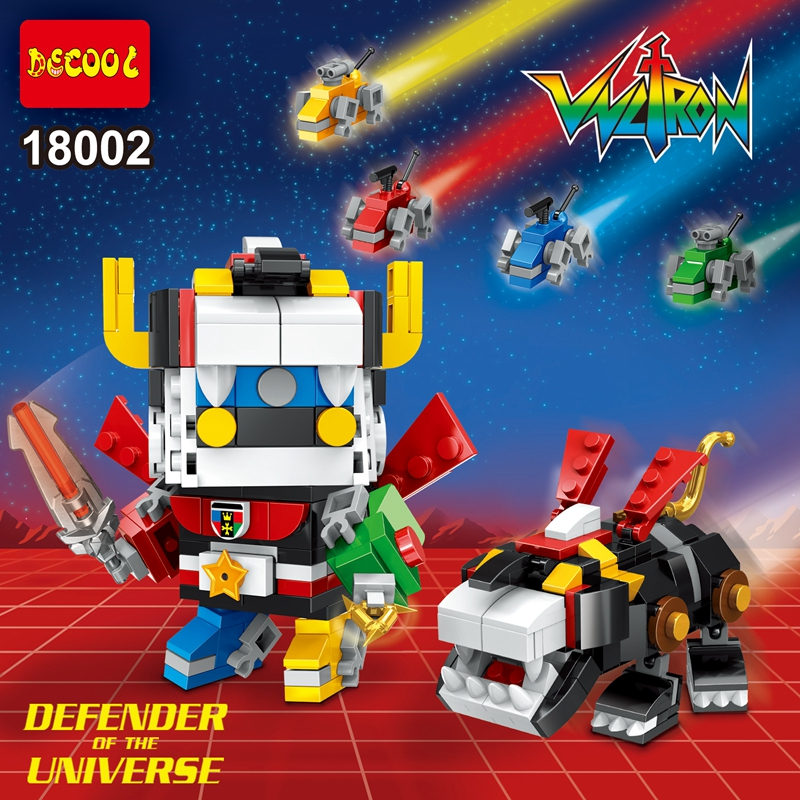 I would not buy it for myself, but if I had #8081 I'd consider doing a side-by-side comparison of the two, pointing out that the DeCool set was a blatant rip-off of the Lego original and highlighting the reasons the Lego product is superior. I think that rationale is a slippery slope. One good apple doesn't unspoil the bushell. If a drug dealer donates half of his ill-gotten gains to cancer research - he's still a drug dealer. Oddball set left sitting on the shelf at Savers. I like the Notice "This product should be dismantled by adults" printed on the box. That doesn't really look much like Lego though. Sure, it's probably trying to jump on the same market, but it's definately not trying to copy anything. 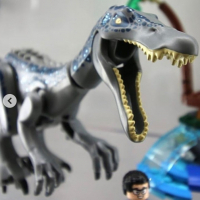 That HIQ set gives me the creeps. 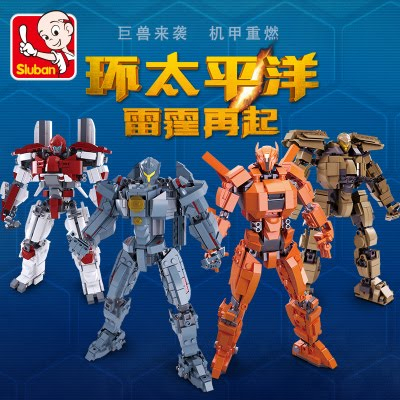 Lego wins another lawsuit against Lepin. This time for infringing on 18 building sets and an unspecified number of minifigs. 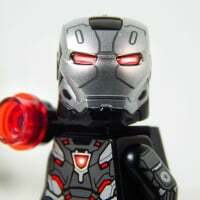 Details about which specific sets and minifigs do not appear to be available at the moment. Per the Reuters write-up, RMB 4.5 million is roughly $650,000 (USD). I get the sense LEGO made this investment in these legal cases to create a chilling effect on prospective cloners and IP violators. Very happy to see their efforts have been modestly successful. Yeah, while it certainly won't put an end to counterfeiting entirely (any more than victories in past decades did), it at least puts an end to the common assumption that Chinese courts would never rule in TLG's favor against a domestic brand. Interesting cause I stumbled upon this today. 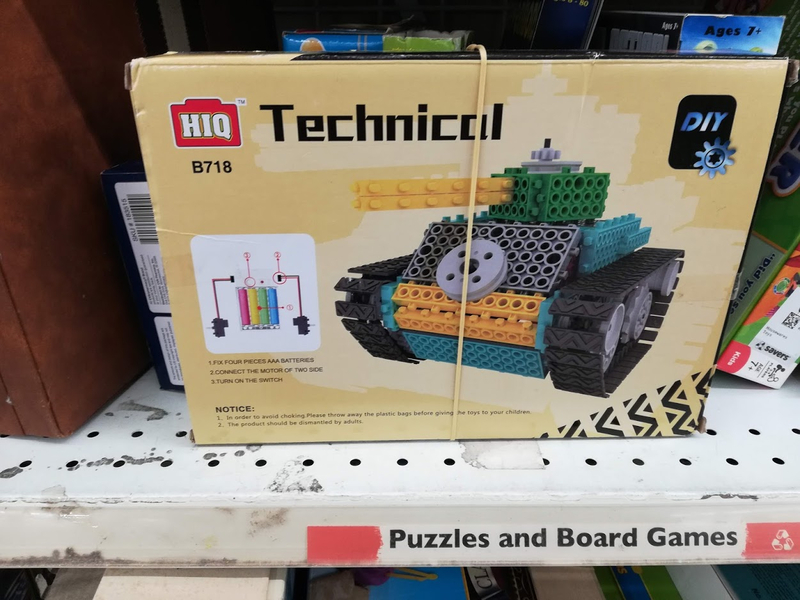 They have probably already made their money on those 18 sets. The ruling doesn't stop them infringing on more products, and they now know the fine is about $36K per set. So for a $100 set, that's 360 of them. Obviously there are other costs, but those numbers seem quite small. Wonder What 18 sets that TLG Choose to sues ? All of them is Lego original IP and Retired Set. I'm surprised the licensed sets aren't on there like the Disney Castle and GBHQ. Lego can't sue licensed sets without help from IP Holders. Sets that are based on third party IPs would require a lot more work, having to prove that the clone products are damaging not only TLG's bottom line, but also the other party's bottom line (Warner/DC, Disney/Marvel/Lucasfilm, etc) & if the cloners have good legal reps, they could muddy the waters, if they can push the angle one party or the other isn't really being adversely financially affected by the cloned products. TLG is playing it smart to start off with solely TLG owned properties, round two they can bring in other parties like Warner, Disney, etc. TLG is playing it smart to start off with solely TLG owned properties, round two they can bring in other parties like Warner, Disney, etc. Problem is they will ? I mean Super Heroes Movies pretty big in china. Ugh. This is just so hacky. Get your own American counterfeit thread! Although there is some dodgy workmanship there - some of the bricks are the wrong way around. That's a weird reference for the box. Wait, this is real? For a second there I thought it was satirical. 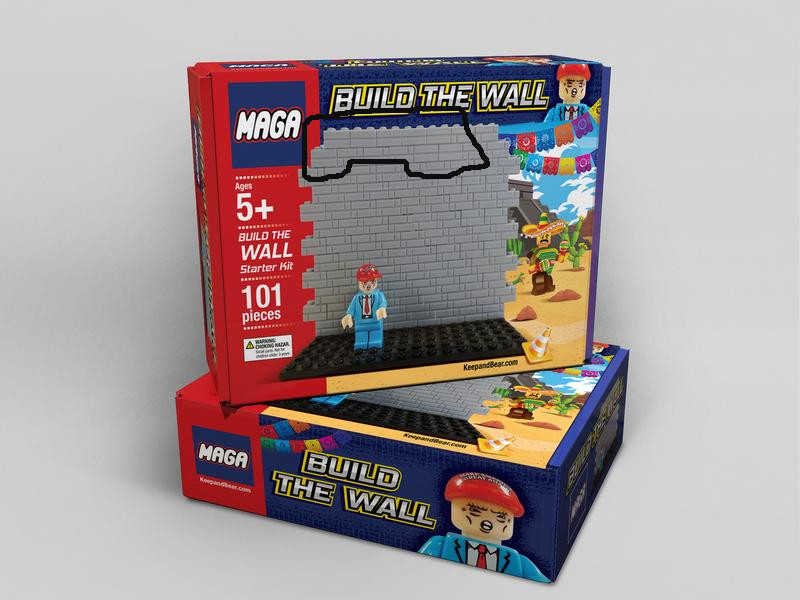 I love how it's "Build the WALL: Starter Kit" like there's going to be extra, smaller expansion sets and you collect all the identical wall sections to build the ultimate wall. 100% real, that's a real shopping link. That whole sells political collectables. "Keep and Bear" refers to weapons, and their motto is "one amendment to protect them all". But come on guys, you can have whatever political views you want, but please don't rip off Lego while doing so. 100% real, that's a real shopping link. That whole site sells political collectables. "Keep and Bear" refers to weapons and their motto is "one amendment to protect them all". Come on guys, you can have whatever political views you want, but don't go ripping off Lego, that's just plain rude.